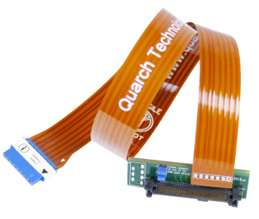 Quarch Technology Limited, headquarted in Aviemore, Scotland is a world leading supplier of automated test tools for Storage systems. 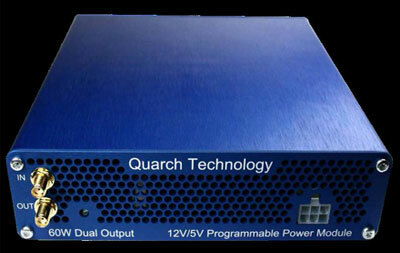 Quarch’s scalable test systems enable manufactures of data storage to get to market faster with a more reliable product. Quarch products can be highly customised allowing the system to achieve a very rapid return on investment in any test environment. Going to an NVMe Plugfest to gain compliance test results for your equipment? Get the right kit and advice to make sure you are ready to pass! Hot-plug of PCIe devices is a fairly new requirement, and not all devices and hosts are fully compliant yet. In addition, the number of test scenarios required for a pass at future Plugfests is likely to increase year-on-year. As of Plugfest #4 (June 2015), a simple set of hot-plug scenarios needed to be passed. Hot-plugging a PCIe device is a complex test scenario; not everyone passed the test station at Plugfest #4. Plugfest #5 (February 2016) saw an extension of the testing, requiring multiple insertion–removal cycles, for each of four different hot-swap speeds. This significantly increased the chances of spotting failures in the hot-plug process. The tests are undoubtedly going to get more rigorous at future Plugfests, so now is the time to get on top of your testing and be confidant that your device meets the specification! 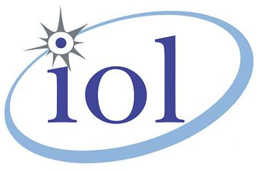 Recommendations on additional industry-standard testing you should carry out. If you are not currently part of the Plugfest, get in touch with the UNH team. Debugging hot-swap failures is complex, time consuming and expensive. Save time and money – use Quarch modules to fully automate your testing. All these modules require a controller to provide power and communications. The modules can be used individually, or combined in any number of ways for testing large storage systems. Hot-Swap automation for Gen3 PCIe SFF Drives. Programmable Power Modules are a combined power supply and recording scope. They are designed mainly to test and characterise storage devices. Each module has dual power outputs (5v/12v or 3.3v/12v). The output can be set to any level and slewed rapidly to create voltage patterns. A linear regulator allows the output to range from 0v to 20% above the nominal rail value. Voltage and Current is simultaneously measured on both channels, giving a very accurate power reading. Measurements are taken at 250KHz with a range of averaging levels. On board memory and a variety of triggering options allow power traces to be easily captured and downloaded for analysis. Automated solution for power ramping, interruption, margining and measurement. Hot-swap, lane configuration, fault injection, signal driving and power injection automation for PCIe Gen4 slots. This module comes with a 40cm interface cable and requires a separately-purchased controller. Allows a Power Module to inject power into a PCIe GEN4 Card. This simple interposer fits in a x16 PCIe slot and allows power to be injected into the attached PCIe card. Connected to one of our range of Programmable Power Modules, you can now perform power margining and measurement of the drive while using it within its normal operating environment. The interposer synchronises with the host power to ensure your PCIe device is powered up at exactly the correct time. Perform full hot-swap and fault injection with GEN4 PCIe SFF/U.2 drives. 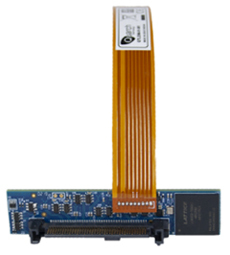 Provides full hot-swap automation for GEN4 PCIe drives. The module has full control over power, data (dual port) and present pins, allowing simulation of any possible hot-swap scenario. Individual control of each signal, pin bounce and high speed glitching combine to greatly increase the number of test cases you can perform. ‘Driving’ is available on some sideband pins, allowing a range of additional tests to drive signals high/low rather than just disconnecting them. The ‘+Triggering’ version has additional MCX trigger IN/OUT to sync with external test equipment. Drive modules can be used individually for simple bench testing, or multiple units can be used to automate an entire storage enclosure. Each drive module requires one port on a Torridon Controller. 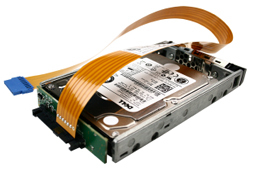 Perform full hot-swap and physical layer fault injection with GEN4 PCIe SFF/U.3 drives. Provides full hot-swap automation for GEN4 PCIe drives using the latest U.3 (SFF-TA-1001) specification. This module works with any U.3-compatible device, regardless of the protocol used. 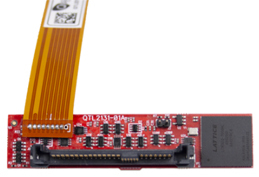 This adaptor board allows standard U.2 drives to be used in a U.3 host, for test purposes. The high speed signals are re-routed so the drive will work correctly on the host. 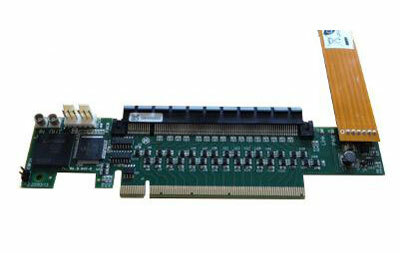 Additional features include an optional flex cable to gain access to SMBUS for debug purposes.